﻿ 202 House Seoul Station (South Korea) | FROM $125 - SAVE ON AGODA! "Location is great and a 5minute walk once you know the faste..."
Have a question for 202 House Seoul Station? "Had a comfortable stay in this apartment." "Staff is very helpful and responsive to queries." "A very convenient location, near to Seoul Station." Designed for both business and leisure travel, 202 House SeoulStation is ideally situated in Jung-gu; one of the city's most popular locales. From here, guests can enjoy easy access to all that the lively city has to offer. With its convenient location, the hotel offers easy access to the city's must-see destinations. At 202 House SeoulStation, the excellent service and superior facilities make for an unforgettable stay. The hotel provides free Wi-Fi in all rooms, 24-hour security, convenience store, grocery deliveries, laundromat to ensure our guests the greatest comfort. In addition, all guestrooms feature a variety of comforts. Many rooms even provide television LCD/plasma screen, cleaning products, clothes rack, dressing room, linens to please the most discerning guest. Besides, the hotel's host of recreational offerings ensures you have plenty to do during your stay. When you are looking for comfortable and convenient accommodations in Seoul, make 202 House SeoulStation your home away from home. Everything was great about this place, very near the seoul station & lotte mart. The only setback is that its very cramp for a family of 6 tho there are 3 queen size bed. With our luggages & stroller, a bit difficult to move around. The dining table provided was for 4 pax but they put an oven and toaster on it thus only 2-3pax able to use. Host was helpful for our 10 nites there. Apartment is very near the Seoul Station. However, I have young children so the loft design post a threat for my young children. Only 1 toilet thus making it a Challenge for a family of 6 and toilet is very small. However, the property owner is very accommodating and attentive to my needs. And they are very helpful, always reply my messages on WhatsApp. The price for 6nights stay is indeed cheap. good location & full size family equipment. Friendly & smart host , Appreciate , Mr. Kim . Due to the room equip with a small kitchen & washing machine , the space feel a bit small , suggest to booking a upgrade size room . 我 門住宿 期間 , 會說中文的人員剛好休長假 , 用簡單英文與肢鐵語言也能溝通 , 返國後回想 , 房東很聰明貼心, 該注意事項都寫於一本 圖形化說明中, 解決問題能力很強. Everything was perfect except water heater and wifi. Water heater was erratic and could not provide constant warm water when showering. Very strange that laptop was unable to connect with room wifi but mobile phones had no problem to connect with room wifi. Free one time room cleaning if staying more than 7 nights. Air-con compressor hidden behind the queen bed on the lower level, hence can hear the noise from the compressor at night. The location is simply great. It was diagonally opposite Lotte Mart and Seoul Station. We could access places easily. Eateries, cafes and convenient stores were just downstairs. There was microwave oven, fridge and washing machine which were great. With the latter won't have to bring to much clothes; 4 sets sufficient as weather was dry, laundry took merely few hours to dry. Location is great and a 5minute walk once you know the fastest way from Seoul Station. Go via the Lotte Mart side entrance, or walk in between the Lotte outlet building and the Lotte Mart. There's a large multi-directional pedestrian crossing that you can easily pull your luggage across. The picture displayed by 202 Seoul house clearly shows the building exterior. Fittings and furnishings inside the duplex apartment are sufficient for the advertised number of pax. There is a lot of space to spread out your stuff for packing. However, there was only 1 bathroom to be shared among 5pax. The hot water in the apartment we were in was erratic. Overall, a good choice for large groups. 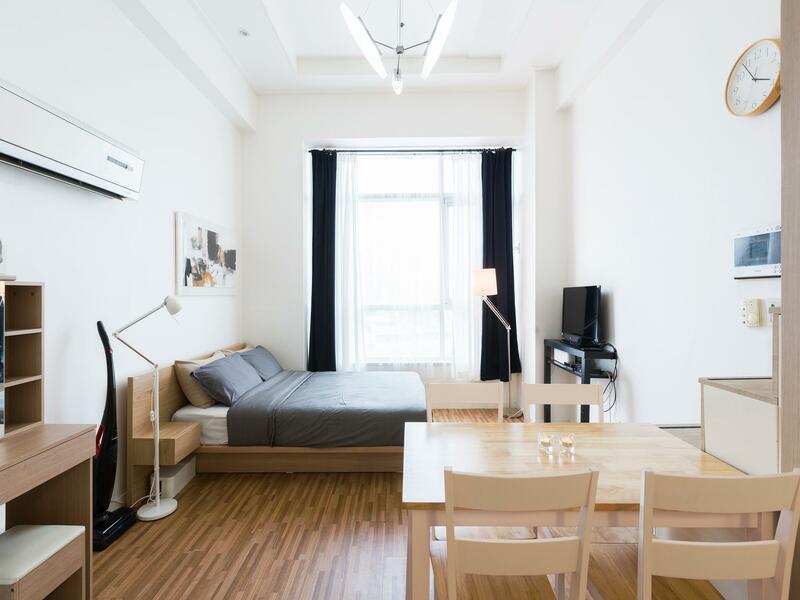 The loft apartment was very conveniently located opposite Lotte Mart, Seoul Station. 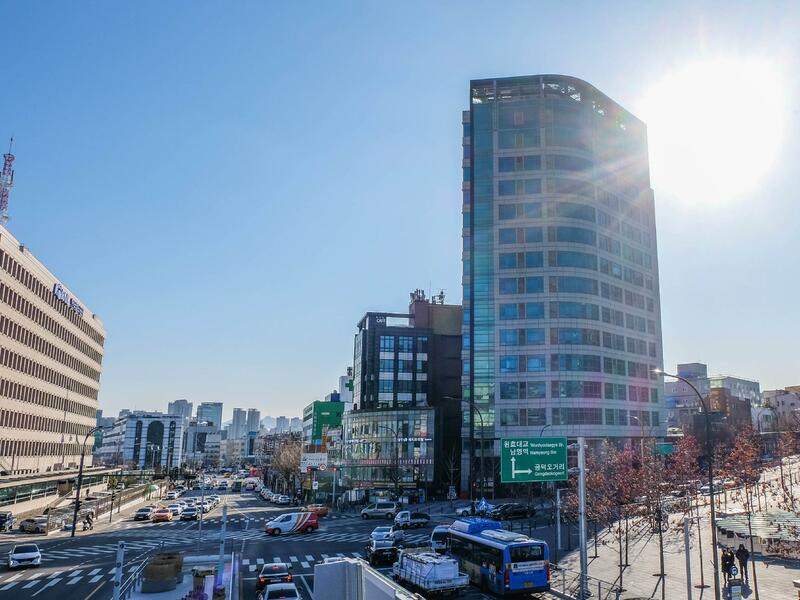 For travelling out of Seoul, it is a good location to stay and it is very near to the AREX station where the airport express train connects directly to Incheon Airport. The host was also very friendly and approachable. Good location! Staff is super helpful and friendly! strategic location, near to seoul station & lotte mart . Clean & Nice Room and great staff. Athe staff very friendly. All the machine like washing machine, room & water heating system all have a english translotion version which is created by the staff themselves. Everythings are too nice. Very good location! Just opposite Lotte Mart, walking distance to Seoul Station and handful of eateries around. One of the staff, Polly, was very helpful with all my queries and provided all info needed for a smooth self check-in. This is an apartment Duplex Loft beside Seoul Station which can accommodate to a maximum of 4 Asian adults. Very convienent location Diagonally across Lotte Mart Seoul station for your shopping spree of korean foodstuffs. Not a 5 star hotel but basic amenities like washing machine microwave toaster kitchen utensils available.If you are saving on accomodation costs this is the place. Seoul station is accessible to many places so it was brilliant for me. Beside the apartment lobby on both sides there are 24 hour convienence store. So I will recommend to all my friends. Location is super convenient! Literally 5 min away from Seoul Station. Room is clean with complete amenities. There's a convenience store right by the lobby and a coffee shop. Will definitely book here for my next trip to Korea! We have a pleasant stay there as the apartment is clean and spacious. The staff, YT and his colleague were very helpful. My husband lost his passport at Busan Airport Wifi shop and we called YT for help. He immediately sent his colleague over to the apartment and helped us to call the wifi shop. Unfortunately there was no one to answer our call on the other end. We were so worried. Next day, YT take initiative to follow up and called the Busan Wifi shop and managed to help us to find my husband's passport and had made arrangement for them to send it over to Seoul, Incheon Airport, and we just need to go there to pick it up on the last day of our trip at airport. Thank so much for their help. We will definitely recommend it to our friends who will be travelling there with family. Location is easy to find. The room is clean and comfortable. Service was very timely and very helpful. Overall a very good experience. Perfect location, maximum 10-15 mins to Seoul station or airport line. Room were clean and staffs were nice. Definitely will back next time.